Today I crossed over to the north side of the Lake into Canada and after a 5 minute telephone call to customs and immigration, was cleared into the country. My second priority was a visit to the bathroom. After not having a shower for a week, I had some serious scrubbing to do. I have fast internet here so I can upload some photos from the last few days. First the stern showing the windvane steering the boat in some quite boisterous conditions last Thursday. 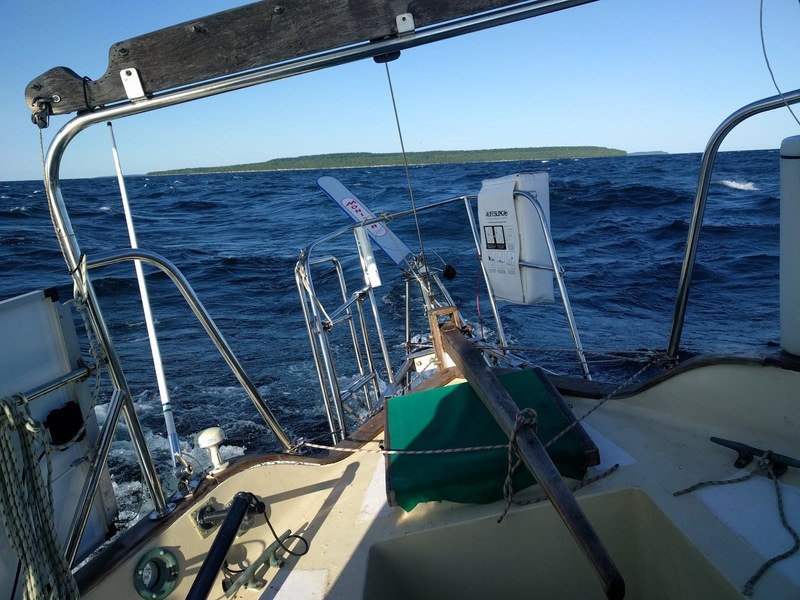 So the next clip is sailing downwind a few hours later. 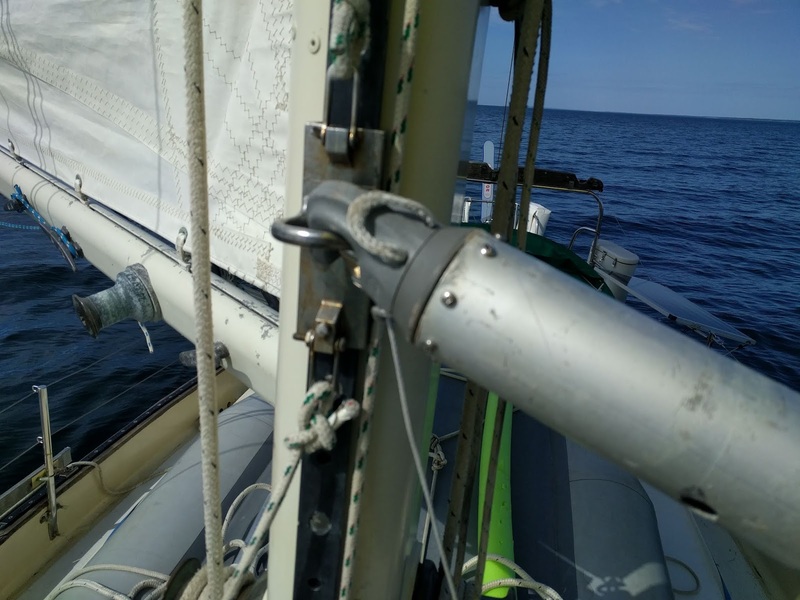 So as a result, my Spinnaker pole lost the ends so I had to fix them by putting screws around the pole. The next photo needs some explaining. I was sailing towards the Mackinac Bridge in the company of another sailboat who was seriously out of his element. He didn't have his sails up even though it would have steadied the boat down in the windy conditions and he didn't have his radio on. 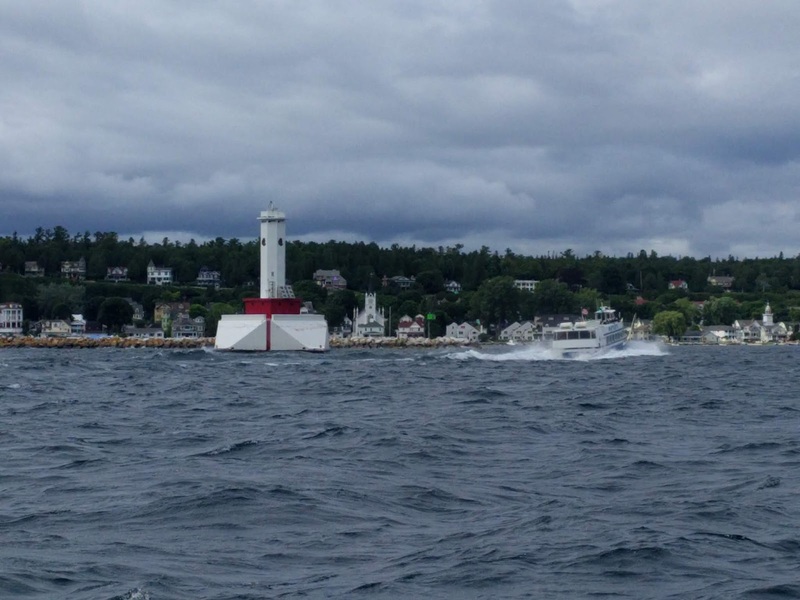 Now there was a tanker bearing down on us and just before we got to the bridge, this sailboat decided to cross from the correct starboard side of the channel to the Port side right in front of the tanker. 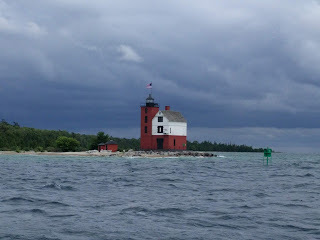 Next photo is of the beautiful roundhouse lighthouse opposite Mackinac Island. 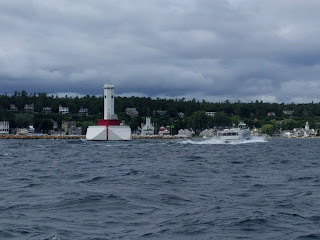 And here is one of Mackinac Island itself. And finally one of a beautiful old classic Northsea 27 near DeTour Village. There are light winds predicted for the next few days so who knows where I will end up. 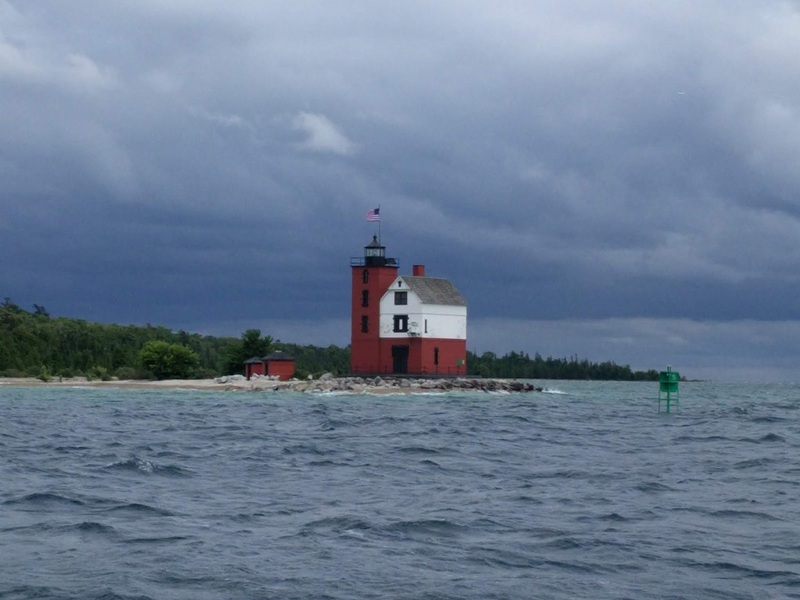 Tomorrow after visiting the store for veggies, I will probably aim at the Grant islands, just 12 miles east of here.